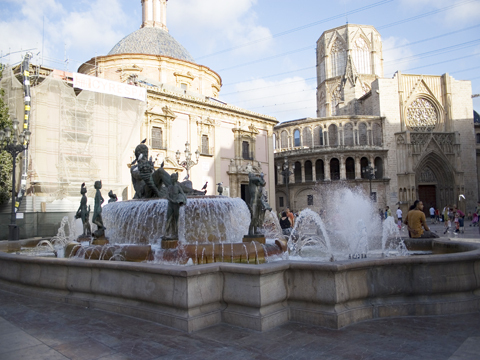 The city of Valencia is the administrative capital of the Valencian community and the center of the region of L’Horta. 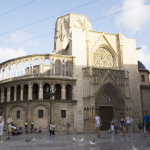 Valencia is an ideal place to study Spanish due to its privileged location on the Mediterranean coast that ensures you the perfect climate all year round. Thanks to its kind inhabitants, you will immediately feel at home. Valencia has an international airport that makes the city well connected with the rest of the world. 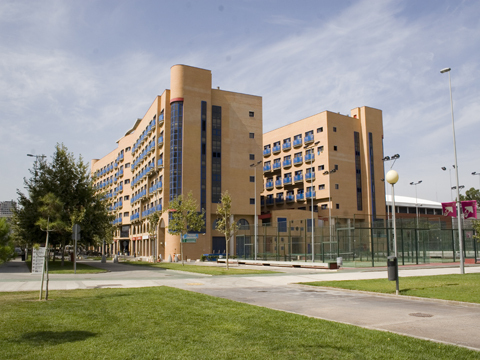 The Spanish Summer Camp in Valencia takes place at the Colegio Galileo Galilei Campus. Enfocamp Program Overview: For the past 18 years ENFOREX has offered Residential and Day Camp Spanish Language Camp for Teenagers in Spain. 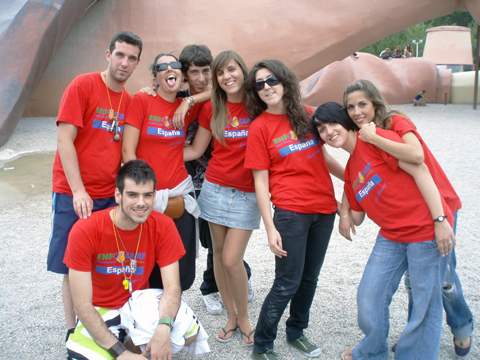 These programs are specifically designed for young students who want to spend a unique summer in Spain. 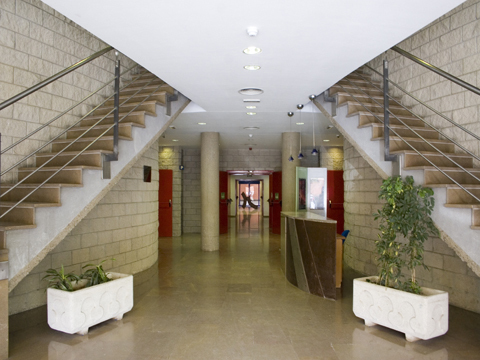 Designed for both Spanish and international students between 13 and 17 years of age, Enforex Spanish Language and Sports Camp in Valencia Spain (Enfocamp) offers a unique, international environment. This international program provides an environment where learning a language (with 3 hours of Spanish lessons per day), and the inevitable cultural interchange enriches the experiences of each of our students. More than 60% of the students are Spanish nationals participating in English classes but them mixing with the foreign students for the cultural program and activities. The remaining participants come from over 32 foreign countries around the world. 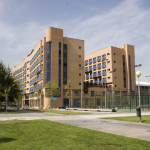 The Enfocamp Spanish Summer Camp in Valencia takes place at the Colegio Galileo Galilei Campus. 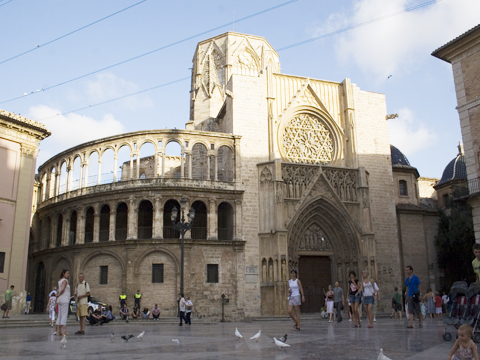 The Valencia Summer Camp is situated in Valencia’s lively university neighborhood. 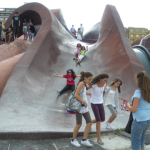 The camp is also within walking distance from the beach, not far from the city center. 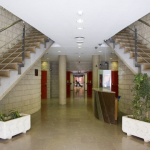 The Colegio holds a room for internet, music, TV, games and meetings and a conference room, as well as a laundry room.. Total Capacity: 150 students. 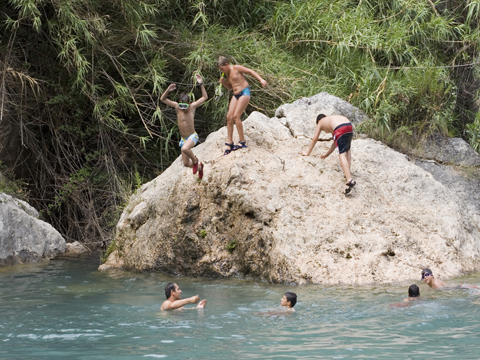 Enfocamp – Full Residential Camp prices include: Enforex registration fee, 20 Spanish lessons per week, accommodations on-site, 4 meals per day, health insurance, activities, excursions & sports (last day of program is 24 August!). Airport Transfers are not included but available upon request! 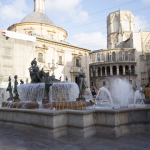 (Airport transfers from Valencia airport are available at USD 110.00 each way). 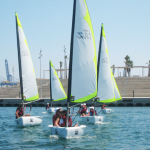 Enfocamp – Day Camp ONLY Option: Includes lessons, lunch and activities without accommodations (for students staying with family/friends in Valencia) from 9:15 AM to 8:00 PM. Daily transportation from Marbella to and from camp is available at additional cost: USD 255 per 2 week period. Enfocamp – Classes ONLY Option: Includes lessons only without activities, meals or accommodations (for students staying with family/friends in Valencia) from 9:15 AM to 1:00 PM. Daily transportation from Marbella to and from camp is available at additional cost: USD 255 per 2 week period. Airport transfers available upon request at USD 109.00 each way. 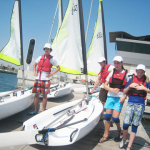 Optional Sports Available: Organized Sailing and Soccer classes are offered in addition to the regular sports and activities. 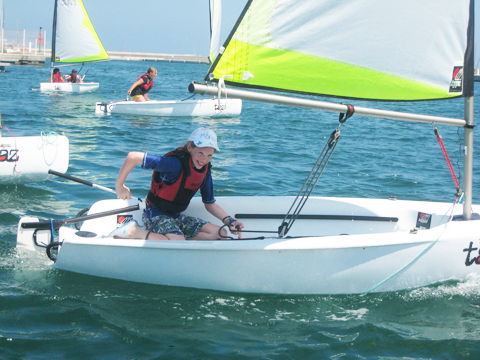 12 hours of Sailing Classes per 2 week period: USD 250.00 for 2 weeks. 16 hours of Soccer Classes per 2 week period: USD 315.00 for 2 weeks. 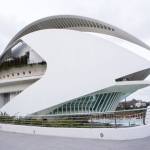 Airport Transfers: Airport transfers from Valencia airport are not included in the price but may be booked at additional charge (USD 110.00 each way). Basketball, Volleyball, Soccer, Handball, Baseball, Water polo, Aerobics, Olympics, Capoeira, and many others. 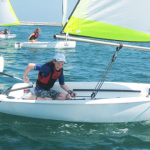 Optional Sports Available: Organized Sailing and Soccer classes are offered at additional charge, see pricing under “Camp prices”. 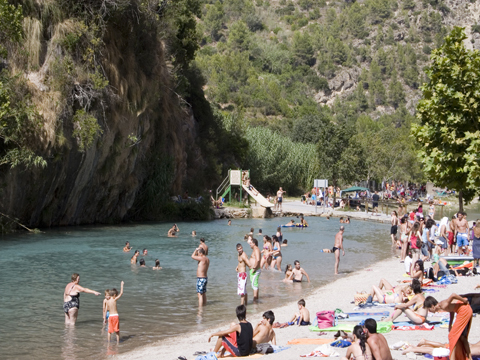 Students at the Valencia Summer Camp will take trips to beaches in and just outside of the city, as well as full day excursions to nearby towns in the region. 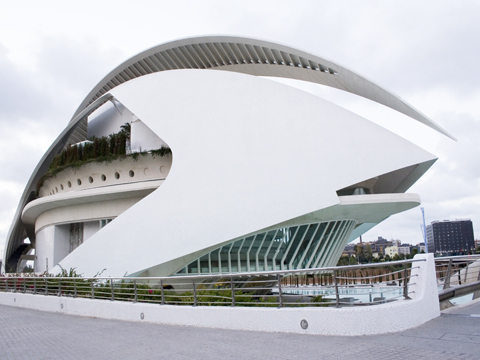 There is a lot to see in the old part of the Valencia and, on the other hand, Santiago Calatrava’s futuristic City of Arts & Sciences is always a camp trip favorite. 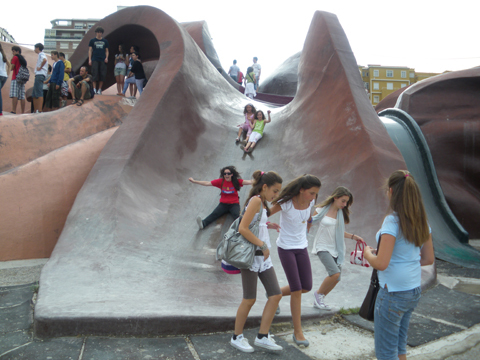 Half-day trips: City Tour, the City of Arts & Sciences. 12 hours per two-week camp period are scheduled. 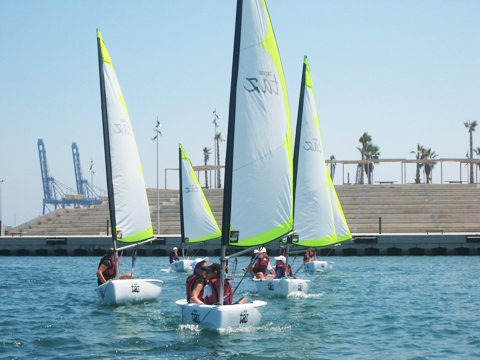 For students who want to learn and practice their skills at the water sport of sailing, they can participate in the optional sailing program in Valencia. 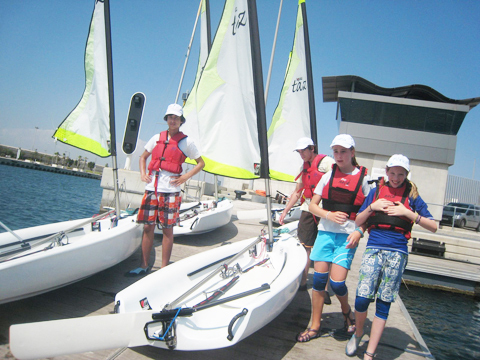 They will be taught and supervised by professional instructors. 16 hours per two-week camp period are scheduled. The course is designed for all player levels. Students receive their lessons on-site or at a nearby University campus. Airport Transfers: Airport transfers from Valencia Airport are not included but may be booked at additional charge (USD 110.00 each way).